One major way to know if a guy likes you is if he’s suddenly always around you. When you move from one side of the room to the other, he magically ends up there. You mingle at a party, but he only has eyes for you. If you’re with friends at happy hour, he always manages to sit next to you. He always seems to be in your immediate vicinity because when a guy likes you, he wants to be near you. He may be holding out with his words since he’s not going to want to just come right out and say he’s into you, but his body language will tell you everything. There are certain scientifically proven indicators that a guy is interested. Does he have an open stance around you? This means he’s facing you and leaving his body open by keeping his arms apart, not crossed. When he does this he’s literally being receptive to you and inviting you into his space. Just like crossed arms and turning away from you signal a lack of interest, an open stance means he’s interested. When he’s talking to you or near you, do his toes point toward you? We point our body in the direction we want to go. If his toes are pointed in your direction, you’re what he’s focused on and where he wants to be. Does he raise his eyebrows when he sees you? When we see someone we’re attracted to, our eyebrows quickly rise and fall. This is automatic and happens in a flash but it’s unmistakable, and it’s a sure sign he likes you. Are his pupils dilated around you? We can’t control the size of our pupils, so the eyes don’t lie! When we’re interested in the person we’re looking at, our pupils will dilate. Does he mirror your body language? If you frown, he might frown along with you. If you lean on the counter, he might lean on it, too. If you find him modifying his physical position to mirror yours, it means he feels connected to you and wants to keep it that way. When we like and approve of someone, we synch up our body language with theirs. Does he lean in close when you speak? Again, if he likes you he wants to be close to you. If he’s leaning way back, it could be a sign of disinterest or boredom. A guy who’s into you doesn’t want to miss anything you have to say, so he’ll lean in close. His eyes always seem to be on you—he stares at you from across the room and locks eyes when you’re talking. Eye contact is as intimate as you can be without touching, and it’s a great indicator of attraction. Men are more visual than women. When they see something they like they can’t help but keep looking, and there is plenty of science to back this up. Since eye movement is spontaneous and largely uncontrolled, if he can’t take his eyes off of you then you can be sure he likes what he sees. When a man is interested in a woman, he craves her touch intensely and he will find all kinds of sneaky ways to touch her. Not creepy touches, innocent touches, like picking a strand of hair off your shirt, putting an arm on your shoulder when you tell a story, letting his knee hit yours and linger when sitting next to one another. Also, when you touch him he’ll be relaxed. He won’t reflexively flinch or pull away. Conversely, he will lean in and may up the touching ante. This is a no-brainer. When we’re around someone we like, we get a little nervous because we want to make the best possible impression. It happens to you and it happens to him, too. It’s been proven that men basically lose their minds when speaking to women they find attractive. It has a measurable impact on their cognitive function because all their mental energy is spent trying to impress. So if he seems nervous or not able to think straight around you, he probably likes you. He compliments you often, and not just about your physical appearance. 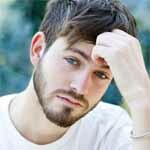 A guy who likes you will obviously be attracted to you for your appearance (we did say guys are visual) but he’ll like a lot of other things about you, too. He’ll love your sense of humor, how kind you are, that you’re so bubbly. He’ll like the quirky and the cute and the good and the bad. He’ll express appreciation for you in the way he looks at you and how he responds to you and how he speaks to you. When a guy likes a girl, he can’t help but smile a lot when she’s around. You’ll notice a goofy grin plastered on his face anytime he’s around you. If he likes you, the smile will be genuine and will reach up to his eyes. If he’s just being polite, it won’t be a full-face smile. If he lights up with a huge smile when he first sees you, especially if it’s accompanied by the brow raise we mentioned earlier, it’s a sure sign he likes you. When a guy likes you, he wants to know everything about you. He’ll want to know your full story, even the seemingly mundane details, so he’ll ask you tons of questions and really listen to the answers. He’ll notice the small things—a new outfit, a haircut, how you like your coffee—and the big things, like who your friends are, what’s going on at work, and what issues you care about. If you’re a vegetarian he’ll be curious to know why. He’ll be curious about you in general, because when we’re interested in someone we find them fascinating and want to learn more. Because he takes a genuine interest in discovering who you are, he’ll show interest in your interests (even if they’re things he himself has no real interest in) and even get involved just to spend more time with you or get to know you better. When a guy isn’t interested his gaze may wander around the room, looking for a way out of the conversation or just literally seeing what else (or who else) is out there. As we mentioned when we talked about body language, men focus on the women they like. That means facing you, looking at you, and getting closer to you—not looking for the nearest escape route. When he likes you, he’ll keep his phone put away and his attention will be solely on you—he won’t want an excuse to cut out, and he’ll try to keep the conversation going as long as possible. We’re all addicted to our phones, so if a guy can carry on an entire conversation without glancing at his phone once, he is majorly interested in you. When we like someone, we can’t get enough. We not only want to know everything about them, we actually remember the details. A man who’s asking questions to be polite won’t remember the answers. A man who’s fascinated by you and truly curious wants to know what he’s asking and so he’ll remember. Does he remember when you told him you were going out of town? The name of the jerk at work who’s driving you crazy? Which bands you like and which concerts you want to get tickets to? If he does, it’s a sign he’s paying attention and likes you enough to want to remember the things that matter to you beyond the moment when you talked with him about them. If he likes you, he most likely told his friends about you. How will you know? You’ll see the recognition in their eyes when they first meet you. They won’t seem surprised when you show up at events, they’ll expect you. Not only that, they’ll take a real interest in getting to know you, and that’s because they expect you’ll be sticking around for a while. When you overhear him talking to family, does he talk about what he’s doing with you, calling you by name with no needed explanation about who you are? If his family knows who you are, you can bet he’s seriously into you. The timeless schoolyard tactic of teasing a girl to show you like her basically never gets old. But instead of pulling your pigtails he may playfully tease you instead, in a gentle, fun way. This will never be mean-spirited, only endearing and affectionate. It might come off as sarcasm or making fun of you, but it will be lighthearted and clearly an attempt to bond with you. He may tease you about a silly quirk you have because he wants you to know he’s noticing the details. Or he may try to create a running inside joke with you. Humor is a great way to connect with someone, and if you’re having fun you’re getting closer, which is exactly what he wants. If he likes you, he will want to know more about you and what you’re up to, and social media is perfect for feeding the stalker in all of us! He may follow you, like your posts and leave comments, or he may even reference things you posted when he sees you so you know he’s paying attention. “That trip you took to Costa Rica looked amazing.” If he quizzes you about guys you’re out and about with, trying to figure out the connection, he’s probably trying to see what kind of competition he has. He’ll want to spend as much time with you as possible, but when he’s not with you he’ll be curious to know what you’re up to, and social media is one more way to see who you are and what you like. Maybe he’s the kind of guy who flirts with everyone, but the way he flirts with you is different. There will be something different about the way he relates to you because you have a different status in his life. What this means is you’re special. He’s not going to treat you like one of the guys because you’re not. He’ll make you a priority and treat you in a more protective and gentle way. And the biggest tell of all … it’s obvious. It’s clear. You feel it in your gut and you just know. And everyone around you knows. 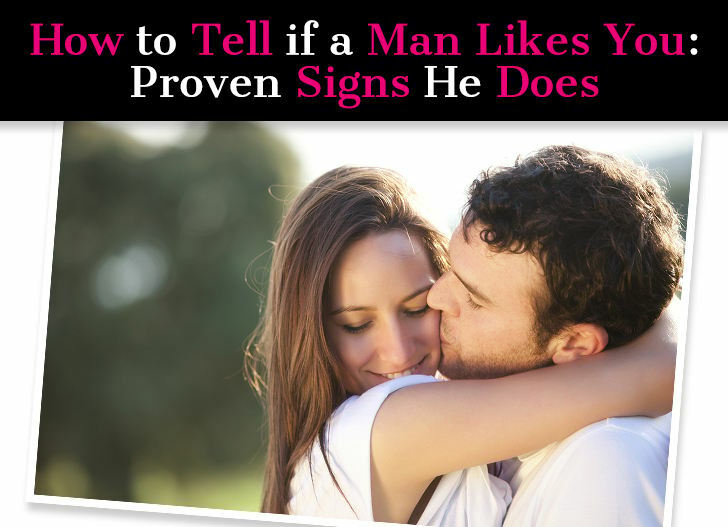 We always want to know what the signs are, and sure, when a guy does all the stuff we’ve talked about it’s a sure sign he likes you. But there’s a natural tipping point where you can just stop counting them up or paying attention to each individual one, because at that point it’s so blatant it can’t be ignored. That’s what we mean by it’s just obvious. “Does he like me?” is by far the most common question women ask when they’re dating. 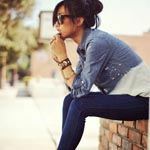 Even though it should be obvious, as women we can be so insecure and unsure of ourselves, especially when we really like a guy, and that can muddy the waters. In the middle of all that is hope, which can make us see things that aren’t there. It can get confusing! 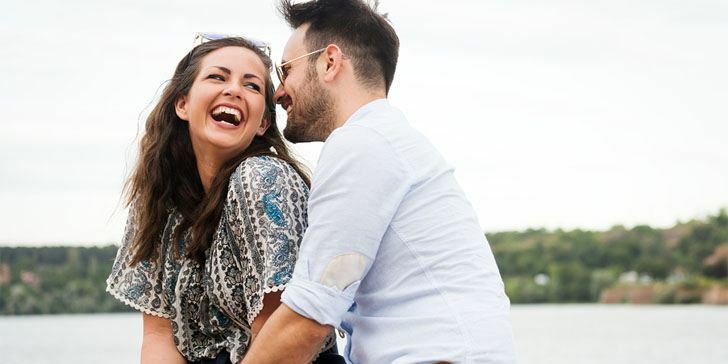 If he’s doing all the things in this article, you should be feeling pretty special—he’s obviously into you. But maybe he’s doing some of them but not all, and so you’re less sure. It’s important to take note of how you feel around him. Are you stressed out and insecure? Or are you comfortable and happy? This could be the biggest sign of all. If you feel good when you’re with him, you won’t need to analyze his behavior and have hours-long sessions with your girlfriends to figure out whether he’s into you or is just being polite. If he likes you, you’ll know it. So many signs will be there you won’t need to look for them or add them up or wonder. He always seems to be where you are. His body language says he likes you. He accidentally on purpose touches you. He likes a lot of things about you. He wants to know your full story. He keeps his attention on you. His friends know all about you. He keeps up with your social media.